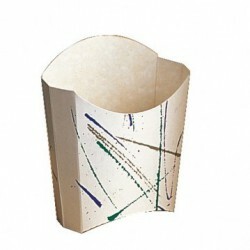 BARQUILLA TAKE AWAY Caja 600 Uds. CAJA HAMBURGUESA 15x15 Caja 450 Uds. 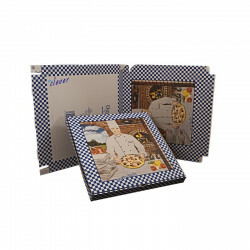 CAJA PIZZA 40x40 Cm. Pack 50 Uds. 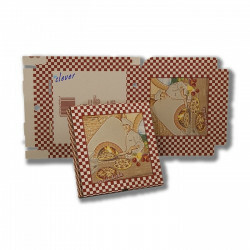 CAJA PIZZA 26x26 Cm. Caja 100 Und. CAJA PIZZA 30x30 Cm. Caja 100 Uds. CAJA PIZZA 33x33 Cm. Caja 100 Uds. ENSALADERA DE CARTON 480 Ml. CON TAPA PP Pack 25 Uds. ENSALADERA DE CARTON 750 Ml. CON TAPA PP Pack 25 Uds. ENSALADERA DE CARTON 1100 Ml. CON TAPA PP Pack 25 Uds. CUÑA PORCION PIZZA 189x221 Caja 500 Uds. 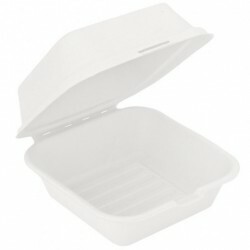 CAJA BURGUER BLANCA DE CELULOSA 15x15x8 Pack 50 Uds.